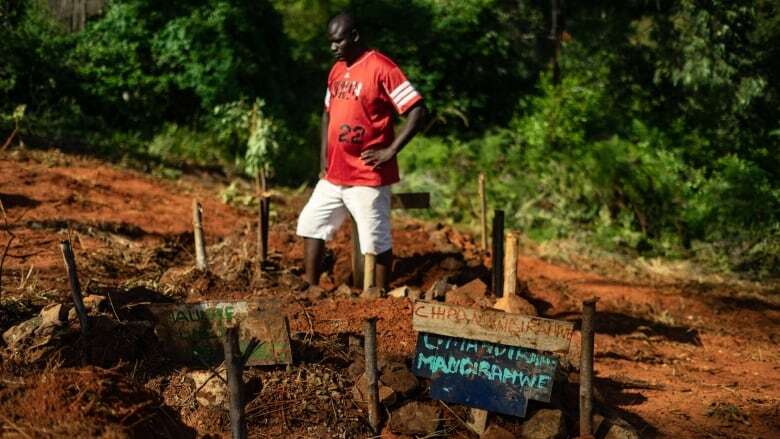 The manager of a small Zimbabwe hotel has opened the doors to hundreds of people left homeless by a devastating cyclone. 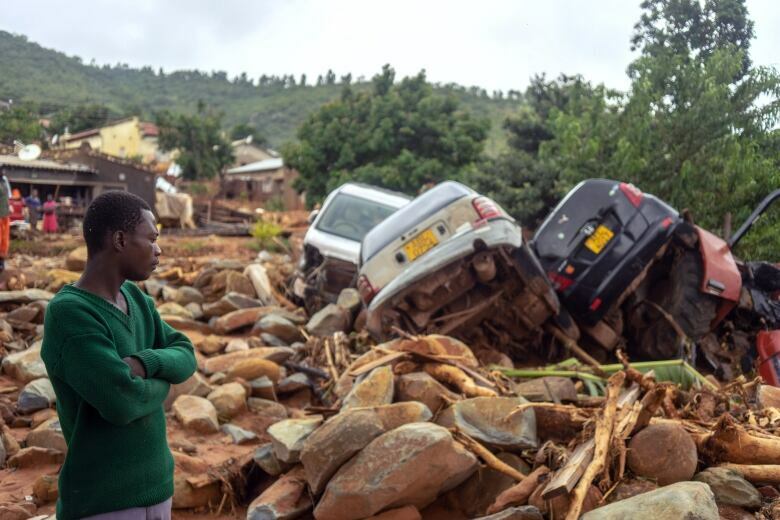 Cyclone Idai has affected more than 1 million people in Mozambique, Malawi and Zimbabwe. Hundreds have died, and roads and villages across the region are still underwater. 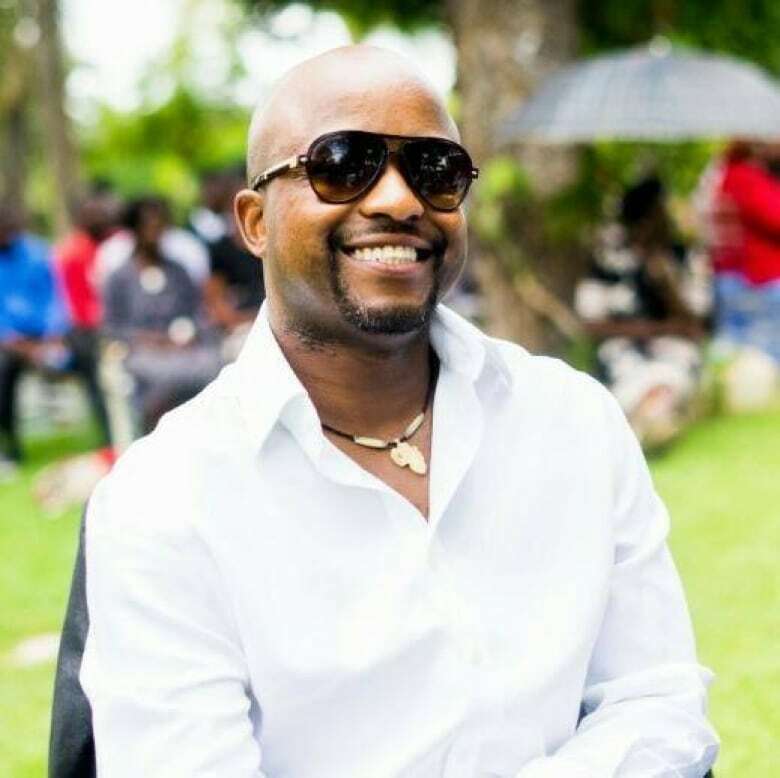 Mandla Mataure, manager of the Chimanimani Hotel in Zimbabwe, is hoping to make things a little easier for the survivors. Since Saturday he's been hosting hundreds of victims whose homes have been destroyed by the storm. Here is part of his conversation with As It Happens host Carol Off. Mandla, when did you decide that you needed to open the doors of your hotel to the people in your community? It was around mid-morning on Saturday. I looked out the window and I saw some people walking in the rain carrying their belongings. Some people had umbrellas ... it was women and children kind of trying to make their way up to our main business centre. So I kind of saw that they were coming up and they had nowhere to go. So I just said to one of our porters at the hotel that he must go to the town centre and call them to come and get into the hotel. How many people did came back to stay at your hotel, then? Well initially it was about 50, 60. Then it became a few hundred. Then by the time we actually got to feeding people that evening, and when we did a small head count and registration process, we were up to just under 500. My gosh. And what did these people tell you about why they had started to walk? What had happened to their homes? Their homes have completely been destroyed. ... There were trees that had been uprooted, plus you had the water as well, so it was a combination of mud, trees, boulders and no water. It was just a complete mess. So that's pretty much what happened. People's homes got completely swept away. And so you have all these people hundreds of people, I presume, you were not anticipating. How are you feeding them? Well initially [on] day one and day two, we kind of went to some of our local shops to just buy a bit of maize meal, some meat. And yeah, we we pretty much just started cooking. Some of the survivors, you know ,some of the people who were there also chipped in. I think day one was sort of just trying to get a team together of able-bodied people to just help us with the cooking process because I mean our kitchen normally handles, you know, maybe 50 to 100 people at most. So we really needed all hands on deck just to help feed people for the first night. Your hotel is not that large. You have, I think, about 35 rooms. So where are people sleeping? We've got a conference room, and then another room that we use as a lounge, that also leads through into what used to be our old casino. Both rooms are pretty much empty at the moment. We sort of moved things around so people are sleeping. I'll call it camping style, you know, next to each other. So we've got the women and children in one side and then the men in a different room. And what are you doing for sanitation? I mean, that many people all together, their bodies are weak, it's easy to get sick. So how are you managing that part? Well, day one was OK. Day two became a bit tricky because our water in our [water tanks] ran out. So we started having meetings with the local council. They helped us run a pipe, you know, to get a bit of water supply to the hotel but not into the main building, just to have a dedicated tap just outside so that people can have clean drinking water. So we've, again, roped people in to also help us just sweep and mop and just kind of keep the place as hygienic as possible. I mean, it's not ideal. So we're trying to be as meticulous as we can about it because we do want to have a cholera outbreak or typhoid outbreak or something. People were describing when the cyclone hit — and you were there — they'd never heard and seen that kind of rain that kind of a storm before. 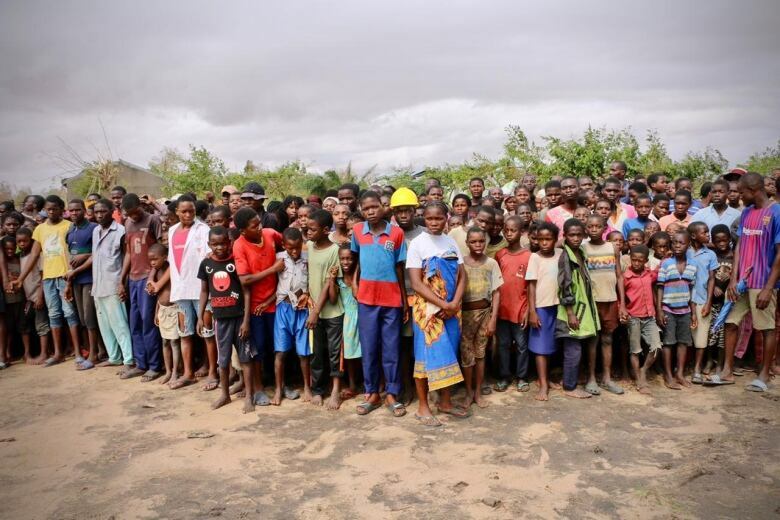 What was it like to be in in Cyclone Idai? I wouldn't even imagine what it was like for people in the villages. I mean for us, the hotel building is pretty solid. It was built soon after World War Two. So it's it's got very solid concrete walls. But just the night it happened, I mean, I was here in my room and just hearing the sound of the wind, and the force of the rain hitting against the windows was unbelievable. And what are they telling you? They've obviously suffered great losses. so how are people dealing with that? People are devastated. So some people want to move out of Chimanimani completely. Others are saying, 'Look, there's room to rebuild and learn from this and be more prepared in the future.' So there's a lot of mixed messages coming through. I think at the end of the day it's about just people feeling comfortable feeling confident in the places that they're allocated to live, and where they're living. Written by Jonathan Ore. Interview with Mandla Mataure produced by Allie Jaynes.